Bringing free residential solar energy to District of Columbia homeowners. Residential solar is not only green and environmentally responsible, but it is also an excellent financial investment. Homeowners can enjoy reduced electricity bills and increased home resale value in addition to the many other benefits of residential solar. DCSV provides a financing vehicle that enables District of Columbia homeowners to deploy and own free residential solar systems and receive free electricity from those systems - all at no net, out-of-pocket cost. Please contact us to learn more about how DCSV works and whether your home is a suitable candidate for a free residential solar system. We are looking forward to helping you - and all of the District of Columbia - go green. 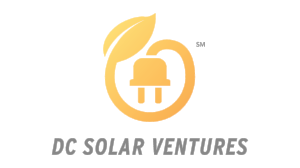 DC Solar Ventures LLC (dba DCSV) does not make any guarantees about acceptance as a DCSV customer nor is any statement on this webpage intended to be a guarantee of future performance or savings.